Love the colors you used! I'd make one for me! I say that now. But I still haven't succeeded in making a quilt for myself. Thanks! Once I whittle down my WIP pile I want to make one of these for me too :) Good Luck with the giveaway! What a cute quilt. Looks like a pattern that would go great with lots of different fabrics - but the pearl bracelets were a great choice. I'd keep it for myself! I'm loving the look of this pattern so much and I definitely want my own quilt for this one! Thanks so much for following! I think this would look beautiful made with Denyse Schmidt fabrics :) Good luck with the giveaway! Oh I think it would look gorgeous made with Denyse Schmidt fabric! Good luck with the giveaway! I would make it for myself as it seems everything I make walks out the front door. gorgeous gorgeous gorgeous! What a great way to use Pearl Bracelets. LOVE this! I'd make this for my daughter. I loved the pattern before - but with the Pearl Bracelets?! Awesome! I have a new grand-niece or -nephew due around Valentine's Day, and I think this would be darned cute for a welcome-to-the-world gift. I would make this quilt in a large size for my step-son and his finance as a wedding gift. Every newly married couple needs a quilt to snuggle with! I would definitely make it for myself. Love it! I'd make it for myself! I never keep the quilts I make, they are always gifts. My first will be made for my new grandchild due in April. I would love to make this quilt for my sister! What a beautiful quilt! I really like the bracelets fabrics and this made up beautiful! I love it as a baby quilt. An old freind is due to have her first girl next spring, and I'd love to make it for her. She's had a tough year and could do with having some quilting hugs sent her way. I would use it as a picnic quilt. Thanks for the chance to win!! No :) I wanted to keep the one I gave as a gift. Good luck! Fabulous pattern - I love your version! I'd make one for my daughter! Your Lizzy House fabrics look great with this pattern. I happen to have some yardage of this collection and I would love to make a quilt for my daughter. Thanks! The Lizzy House fabrics look fabulous in this pattern. 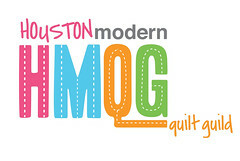 I have some yardage and would love to make a quilt for my daughter. Thanks! Looks wonderful in Pearl Bracelets. I am in search of a quilt pattern for a wedding quilt for my daughter. This could work. I would love to make this quilt for my son.